May 11, 2012 - The Department of Transportation’s Office of Inspector General (OIG) plans to initiate an audit on the Federal Aviation Administration’s (FAA) progress in implementing Performance-Based Navigation (PBN) procedures, including the NAV Lean Project (which is aimed at improving FAA’s review process for these procedures). Historically, aircraft navigation specifications have been specified directly in terms of sensors (navigation beacons and/or waypoints). A navigation specification that includes an additional requirement for on-board navigation performance monitoring and alerting is referred to as a required navigation performance (RNP) specification. One not having such requirements is referred to as an area navigation (RNAV) specification. 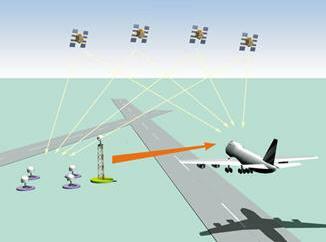 ICAO performance-based navigation (PBN) represents a shift from sensor-based to performance-based navigation. PBN specifies that aircraft RNP and RNAV systems performance requirements be defined in terms of accuracy, integrity, availability, continuity and functionality required for the proposed operations in the context of a particular airspace, when supported by the appropriate navigation infrastructure. PBN procedures are key building blocks for the Next Generation Air Transportation System and can provide significant near-term benefits such as more direct flight paths, improved airport arrival rates, greater fuel savings, and reduced aircraft noise. Improving the efficiency of the National Airspace System remains a key priority for the Federal Aviation Administration (FAA), with air travel expected to nearly double over the next 20 years. To enhance capacity and reduce delays at congested airports, the FAA is implementing Performance-Based Navigation (PBN) flight procedures that use on-board equipment for satellite-based navigation. Although the FAA has already implemented over 1,000 PBN procedures, industry representatives have expressed concerns with both their value and timeliness. In response, the FAA performed a study of its processes, the NAV Lean Project and identified 21 potential improvements to streamline its efforts to develop useful PBN procedures. However, it could take as long as 5 years to implement these changes. Concerned with FAA’s efforts to rapidly deploy new PBN flight procedures that provide value, the Chairmen of the House Committee on Transportation and Infrastructure and the Subcommittee on Aviation asked OIG to assess the Agency’s objectives which are to assess the FAA’s progress in providing high-value PBN routes and procedures, and the degree to which the NAV Lean Project meets demand for improved review processes. OIG’s audit will include visits to FAA Headquarters, relevant field offices, selected air traffic control facilities, and various industry representatives. OIG plans to begin the audit this month.